I hear it all the time. My mom said it, every health guru says it, there’s even a hashtag or millions devoted to it. I say it to my kids every day – sometimes three times a day. Your body needs 5-8 portions of fruits and vegetables a day. But did you know that over-cooking or wrongly cooking a vegetable leaches out all the nutritional value? Research has proven that many vegetables are sensitive to the cooking process and broccoli is top of that list. At the same time I want my kids to eat what I make for them. What’s the point of cooking when all your kids will do is push the dish away? Broccoli has over the years developed a nasty reputation with the teeny-tiny crowd. And I agree mushy and soggy the florets can taste pretty gross. So I was delighted to learn that the most delicious way to cook broccoli is also the healthiest. Lightly sauteed with garlic and a splash of water. It’s that simple. 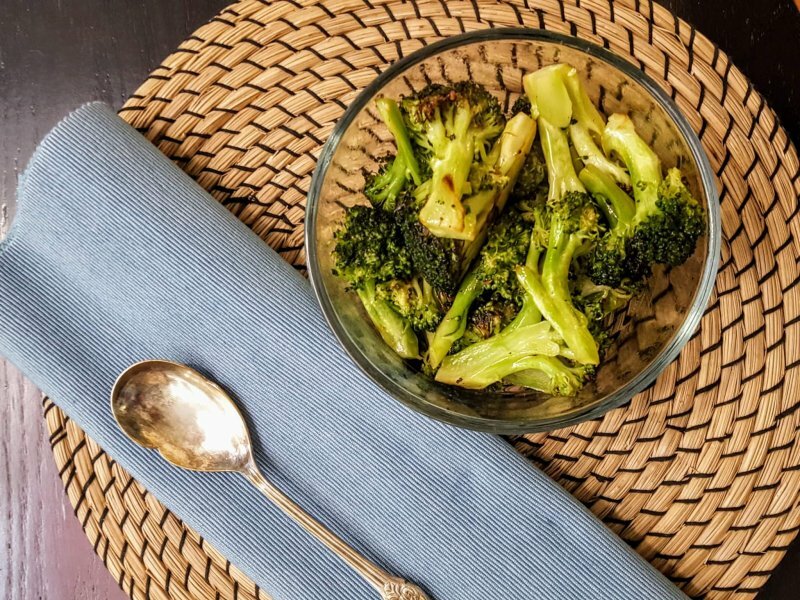 Cooking broccoli in this way retains most of its colour, nutritional value along with that crunch that results in a delicious side dish that even my youngest and pickiest eater enjoys. 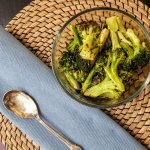 Boiling or over-cooking the broccoli florets will turn the vegetable into mush and leach away with much of it’s cancer-fighting goodness. So yes there is a right, dare I say it, only way to cook broccoli. Add garlic and saute for a few minutes. 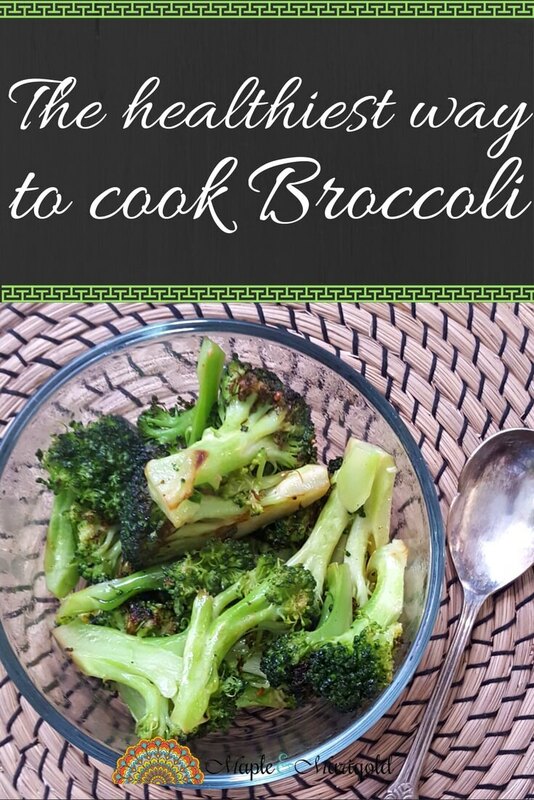 Add broccoli florets and cook and toss lightly for a few minutes. Add salt . A splash of water and cover pan. Remove cover and toss. Replace cover and leave it for a few minutes. When I have company or I'm in a mood for more flavour, I add 1/2 tsp of chilli peppers to the oil or cumin seeds or both. They add a delicious flavour to the broccoli. 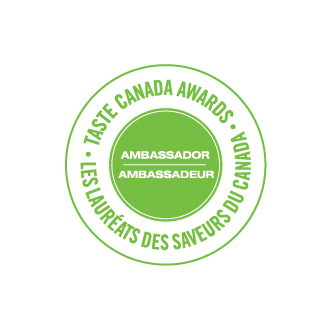 Many vegetables like broccoli are flavourful and healthiest when cooked lightly. All of this is not to say that you should avoid boiled broccoli or that pureed broccoli soup. Over-cooked vegetables still contain fibre and count towards your 5-8 fruits and vegetables a day. I’m lucky that my kids like their veggies. I usually steam my broccoli. I will definitely try your way! I will have it try cooking it this way. I usually roast it, but worry about loosing all the nutrients given it roasts at such a high heat! 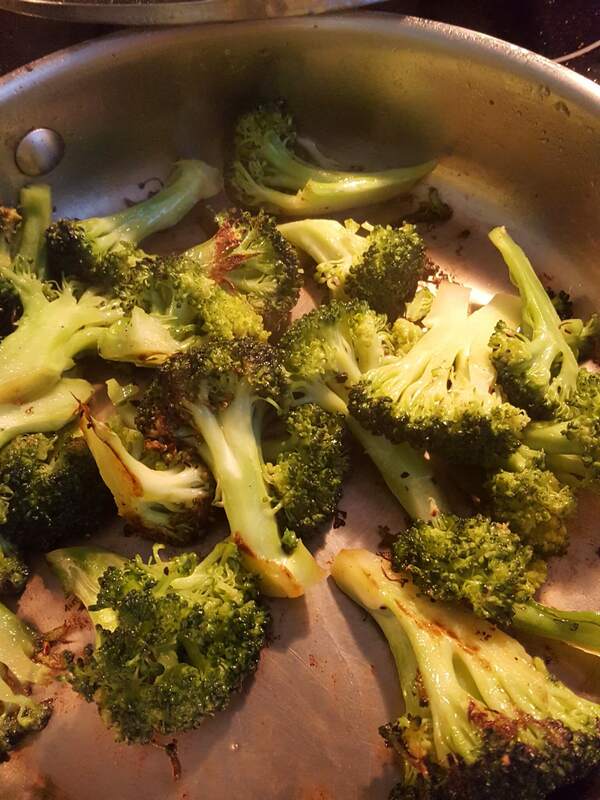 I love roasting as well but it takes too long for me let me know what you think of this way of cooking broccoli! I grated some parmesan on top and even my picky 5 year old ate it all. Thanks! Do you think would work with other veggies as well, cauliflower or asparagus come to mind?